Merrion men and women are set for a huge weeekend down the road in Pembroke. 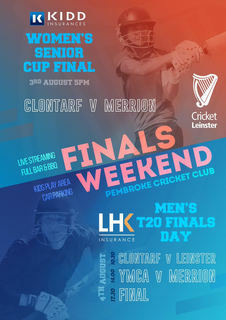 The women 1sts play Clontarf in the Kidd Insurance Senior Cup on Friday evening while the men 1sts will take part in T20 finals day on Saturday.where they will meet YMCA in the second semi final. Club President Gerry Ormond encourage supporters to get down to Pembroke over the course of the weekend.